Historically, many motorcycle racing stars from lots of other disciplines have tried Supermoto Racing - with mixed results! 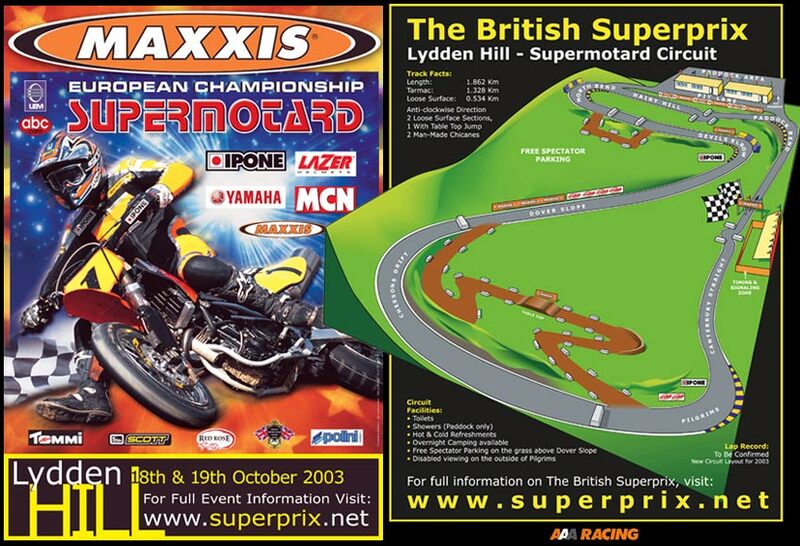 The years 2000 - 2008 were just before the powerful effect of Social Media became allied to modern digital technology, so most of Supermoto's halcyon days are only available on Standard Definition video clips (if you are lucky), Even so, you'll still be amazed at the riding skills on show on any video clips you see! As we have said elsewhere, Supermoto Racing could easily come back in again, so don't be a stranger... You could miss out!